In the old time, there were very few investment alternatives. All the people would invest their money in either fixed deposits (FD) or in post savings. These are age-old money saving options which are going strong even today. However, if you put your hard earned money in FD or post it wouldn't be called investment. The reason the definition of investment has evolved over the years is that people are looking for more dynamic options which would give returns better than FD and post. An investment instrument should not just help you keep your money safe but its responsibility is also to give it a decent upside. The equity investment has always been around but people always had reservations about it. Then mutual fund emerged to channel people's need for safety and high returns at the same time. Over the years, Mutual Funds have become extremely popular with the investors. Now Exchange Traded Funds have started to gain popularity. However, in India, there still less awareness about ETFs. Let's explore the possibilities of ETF and try to find out if it has what it takes to take on the mighty mutual funds. An exchange-traded fund is a basket of securities that you can buy or sell on a stock exchange through a brokerage firm. The good thing about ETF is that they are offered in almost all asset classes, from traditional investments to alternative assets like equity, commodities or currencies. These days there is a buzz about an ETF on bitcoin. An ETF is a marketable security which is traded on an index, a commodity, bonds, or a basket of assets like an index fund. The thing that makes it different from mutual funds is that an ETF trades just like a common stock on a stock exchange. The experience price ETFs changes throughout the day according to how they are bought and sold. One of the biggest advantages of ETFs is that it has higher daily liquidity and considerably lower fees than mutual funds which makes it an attractive alternative for retail investors. An ETF is bought and sold just like a stock of the company during the day's session when the exchanges are open. Furthermore, like a stock, an ETF has a ticker symbol and the intraday price data can be easily acquired while the trading session is on. Unlike a stock, the number of shares outstanding of an ETF can change on a daily basis as the process of formation of new shares and the redemption of existing shares continues. The very ability of an ETF to issue and redeem shares on an continues basis is responsible for keeping the market price of ETFs in sync with their underlying securities (shares, bond, etc). Essentially, ETF is created for individual investors, however, institutional investors play a pivotal role in keeping the liquidity and tracking integrity of the ETF. Through the purchase and sale of creation units, that are big blocks of ETF shares which can be exchanged for baskets of the underlying securities. If the price of the ETF strays from the underlying asset value, institutions employ the arbitrage mechanism produced by creation units to bring the ETF price back into line with the underlying asset value. As we are comparing all the aspects of ETFs with that of Mutual funds, the prudent question would be like Mutual funds are there types of ETFs? In terms of mutual funds, there are equity funds, debt funds and balanced funds. As we mentioned above that ETF is like a basket of securities i.e. bonds, shares, bitcoins, etc. Thus it becomes clear that it is a flexible and a dynamic investment instrument which only means there ought to more than just one type of ETFs. Let's explore the different types of ETFs. Most of the ETFs below are not available in India but these are ETFs which are being traded in the US and some other foreign exchanges. Bond ETFs: This ETF is conceived to give exposure to practically every type of bonds available i.e. the U.S. Treasury, corporate bonds, municipal bonds, international bonds, high-yield and many more. Sector and industry ETFs: Like there are thematic funds in a mutual fund which focuses on a certain sector, sector and industry ETFs and designed to give exposure to a certain industry e.g. oil, pharmaceuticals, or information technology. Commodity ETFs: As the name suggests this ETF is made to track the price of a commodity, such as gold, crude oil, copper, etc. Style ETFs: A style ETF strives to follow an investment style or focuses on the market capitalisation i.e. large-cap value or small-cap growth. Foreign market ETFs: Designed to track foreign exchanges, such as Japans Nikkei Index or Hong Kongs Hang Seng index. Inverse ETFs: This is little different than the conventional ETFs. Here the aim of the ETF is to gain from a decline in the underlying market or index or whatever security there may be in the ETF basket. This is similar to taking a short position in the future's market. Actively managed ETFs: This ETF takes a hardline approach and tries to outperform an index it is following, This is unlike most ETFs, which are intended to track an index. Exchange-traded notes: In essence, debt securities supported by the creditworthiness of the issuing bank. This sort of ETF is designed to give access to markets that are illiquid and have the combined benefit of producing essentially no short-term capital gains taxes. Alternative investment ETFs: This ETFs offers investors to trade volatility or get exposure to a certain investment strategy, such as currency carry or covered call writing. Are Exchange Traded Funds Better Than Mutual Funds? Retail investors get to buy and sell ETFs anytime during the trading hours. In Mutual funds, you don't have that luxury. MFs are settled only after the market closed on the trading days.The most attractive part of ETFs is that there is no sales load like in MFs there is exit load for most of the funds. However, brokerage commissions and the taxes of the state and the centre are applicable. But in a larger scheme, it would it be safe to say that ETFs are more tax efficient as investors have greater control over when they pay capital gains tax. Another important facet is the trader has a higher control of his/her investment as ETFs are traded like stocks, investors can place various types of orders (limit orders, market order, stop-loss orders, etc.) These are some of the things which are not possible with mutual funds. All mutual funds and exchange-traded funds (ETFs) charge investors an expense ratio to cover the funds operating expenses. This is a critical part. The expense ratio comprises of various operational costs such as administrative, distribution, compliance, management, marketing, shareholder services, record-keeping fees, etc. This accounts for a certain percentage of a funds average net assets. The expense ratio, which is calculated annually and disclosed in the funds fact sheet and shareholder reports, has a direct impact on the funds returns to its shareholders. Hence, also on the value of your investment. The expense ratio of the ETFs and MFs play an important role. A heavy expense ratio can eat into your returns considerably. Usually, investors don't pay much attention to this element but that's a big mistake. Without doing much calculation we can be sure that the expense ratio of ETFs is way lesser than that of mutual funds. The most important benefit of the low expense ration is naturally more returns. An ETF seeks to give returns equal to its index (whatever benchmark index it is following). The primary reason for the cost of ETFs being low is that the fund houses have a huge dependency on the institutional money. Lower the expense ratio of the fund more chance it has of attracting institutional money. Today there are much Nifty or Sensex-based ETF at 5-10 bps, some banking ETF at 15-20 bps, and smart-index based ETFs at 34-49 bps. Eventually, retail investors stand to gain from this as lower the expense ratio, better the returns it will offer. 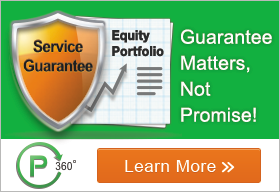 By now you must be wondering if ETFs are so good why your financial advisor doesn't recommend it to you? That's a fair question. The answer to that question lies in how much your financial advisory makes by recommending a certain fund. Financial advisers get paid for their professional expertise either by the commission or by an annual percentage of your entire portfolio. The cost usually ranges between 0.5 percent and 2 percent, in the same way as you pay an annual percentage of your fund to the fund manager. If you exit the fund before completing one year you have to pay a hefty exit load (1-3%) to the Asset Management Company (AMC). Thus when you try to skip the annual charges, financial advisor receives his/her commission through exit load. And if your broker gets paid by the load then don't be surprised if he doesn't recommend ETFs because the commission that he/she gets from the load is far higher than ETFs. Even the money the AMCs make from mutual funds is way higher than revenue of ETFs that is one of the reasons AMCs spend so much on creating awareness about mutual funds and not on ETF. Don't get overwhelmed by the prospects of ETF, they are undoubtedly good but that doesn't mean mutual funds wouldn't make you rich. Equity mutual fund is still the best medium for retail investors to invest with the objective of wealth creation. The mutual fund offers a more disciplined way of investing in the capital market which you can't get in ETF. Moreover, equity mutual fund gives best returns if held for a long-term. There are many benefits like dividends and compounding growth which are key to boost your corpus. If cost is the concern, mutual fund companies also offer the option of direct mutual fund where you save the additional charges that you pay when you go through a distributor or financial advisor. All in all, we will have to conclude with this thought that ETF is extremely promising and it will only get better in future but the mutual fund still shines the brightest in the investment arena.